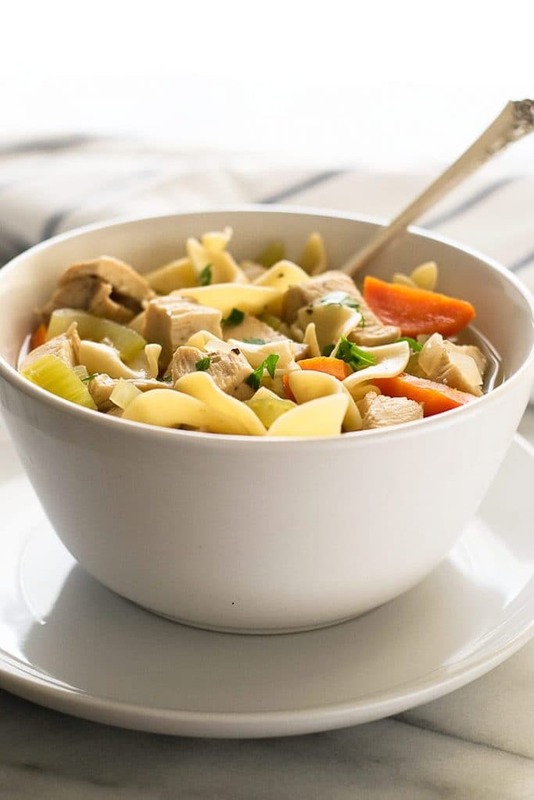 One pot and twenty minutes are all you need to make this quick and easy chicken noodle soup for one. 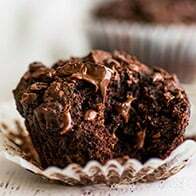 Heya, I have another recipe for one for you today. When I started posting these single-serving recipes with my Scalloped Potatoes for One, I wasn’t sure how much of a demand there would be for them because I know lots of people don’t like cooking for just themselves, but that post has been pretty popular, and so has my Mac and Cheese for One, so clearly I’m not the only one who doesn’t mind cooking for just myself! 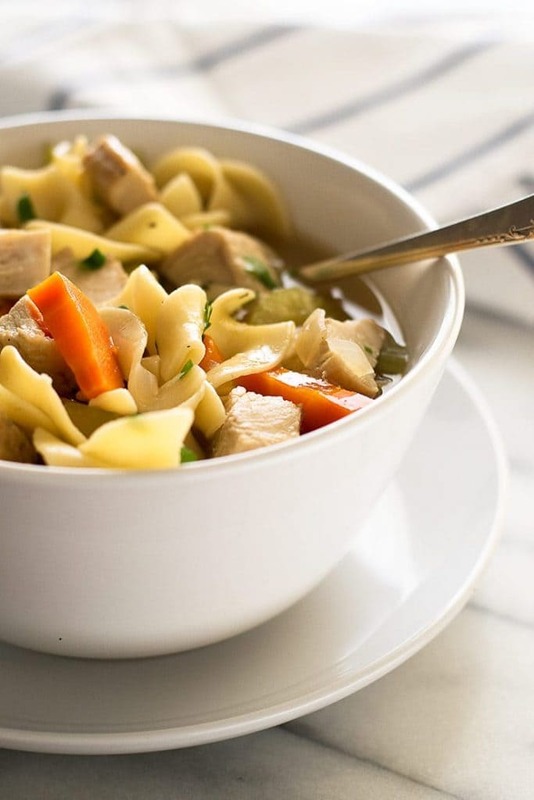 Today I’m sharing Chicken Noodle Soup for One, and I know, I know, it’s the first day of spring (happy first day of spring!!) and soup weather is almost over but, 1) It’s still chilly(ish) out—soup is totally still called for 2) I like soup all year round, and 3) I didn’t want to wait for winter to roll ’round again to share this with you, because I love it. 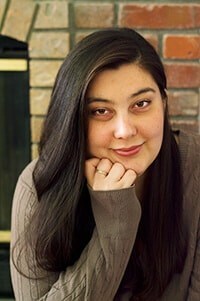 You have extra cooked chicken sitting around. You need an easy and warming lunch/dinner. Hate soggy leftover noodles/the canned stuff. 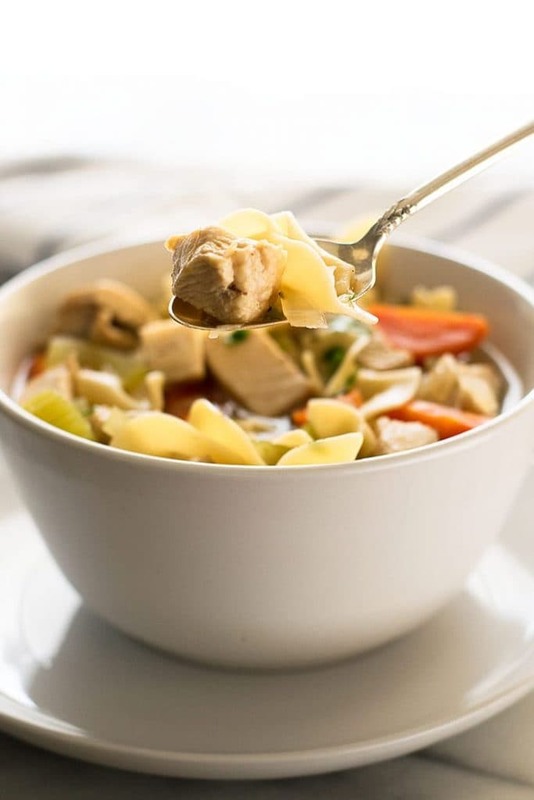 And real talk, nothing beats the type of chicken soup that takes four hours to make and starts with an entire raw chicken, but this easy version for one takes about twenty minutes, doesn’t require you to dismantle a dead bird AND totally hits the chicken soup spot, so when I’m craving some chicken soup for lunch, this is totally the version I’m going for. The soup you see in photos used cubed chicken and carrots and celery because that’s what I usually have around, but go nuts. I also included instructions in the recipe notes for my favorite way to cook chicken for soup if you don’t have any cooked chicken already on hand. 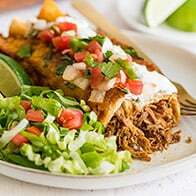 It’s the same method from my How to Cook Shredded Chicken and How to Cook Chicken Breasts for Recipes posts, so if you want to see step-by-step walkthroughs, you can click on through and see it there. 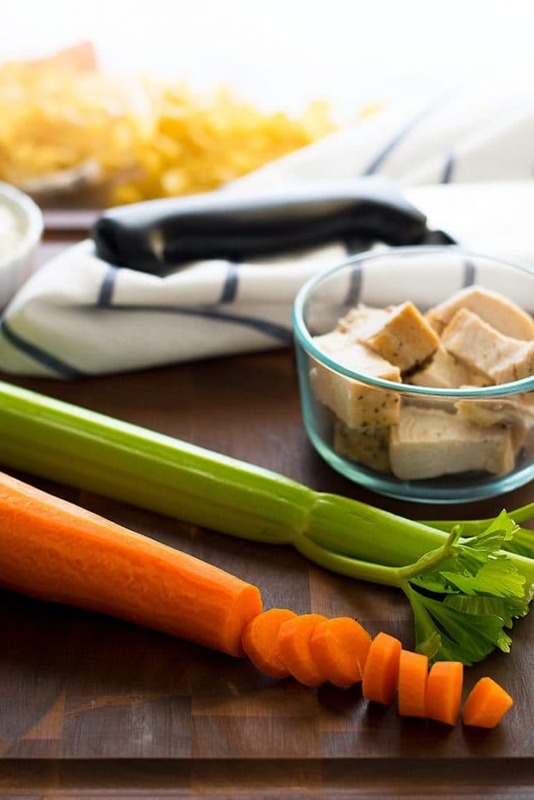 Looking for more Chicken Soup Recipes? 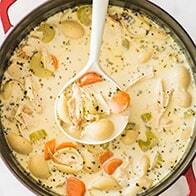 Try my Creamy Chicken Noodle Soup, Chicken Carcass Soup, and Chicken Peasant Soup. 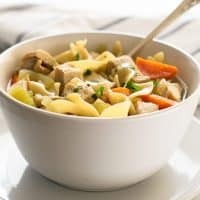 One pot and twenty minutes is all you need to make this quick and easy chicken noodle soup for one! In a medium pot (with a lid), combine vegetables and chicken broth. Cover and bring to a simmer. Cook for 10 minutes. Add noodles, chicken, and spices. Re-cover and cook according to noodle package instructions, until noodles are al dente. If broth level looks low, add 1/4 to 3/4 cup of filtered water. Salt and pepper to taste. Sprinkle both sides of your chicken with salt and pepper. Heat your soup pot over medium heat. Spray with cooking spray or drizzle on a bit of your favorite cooking oil. Once hot, add chicken to the pan and cook until browned, 3 to 4 minutes. Flip and repeat. 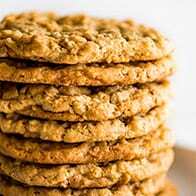 Once browned, add about 1/2 inch of water to the pan, cover and cook for 5 to 8 minutes, until an instant-read thermometer inserted into the center of the breast reads 165°F--time will vary depending on the size of the piece of meat. Remove from heat and allow to cool for 5 minutes before shredding or dicing. Keep any remaining cooking liquid at the bottom of your pan (it will help flavor your soup) and continue to make your soup from step 1.